View of the goods yard or sidings looking down the line in the Elland direction. 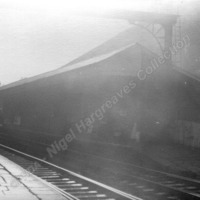 The station closed in 1962 and an oil terminal was built on the site of the goods yard. The first station out of Bradford on the Midland’s line towards Shipley it was opened in 1868 and closed nearly a hundred years later in 1965. On the GNR line between Keighley and Queensbury where it connected with lines to Bradford and Halifax. 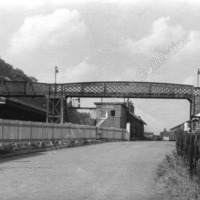 The station opened with the line in 1884 and closed in 1955 at the same time as the line. 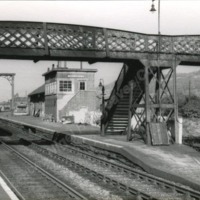 An intermediate station on the MR’s Ilkley – Skipton line it opened with the line in 1888. 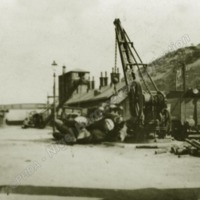 Seen here in a very sorry condition probably after closure in 1965. The station on the MR/NER ‘Otley & Ilkley Joint Railway ‘opened at the same time as the line in August 1865. 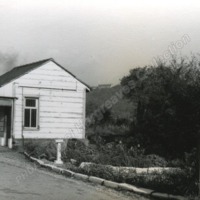 The station was de-staffed in 1968 and the buildings demolished and replaced by bus stop style shelters, the line was electrified in 1994/5. 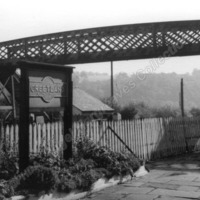 The station seen here is Bingley’s second station and was opened in 1892 replacing the earlier station which was a little to the west near the Three Rise Locks on the Leeds & Liverpool Canal. It remains open.